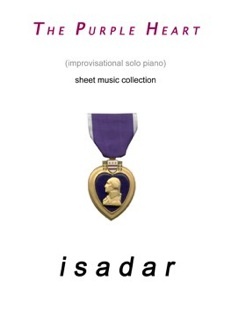 The Purple Heart Sheet Music Collection is a note-for-note solo piano transcription of Isadar’s 2003 memorial CD by the same name (transcribed by David Shenton). The recording and book are a tribute to those who died in the attacks of 9/11/2001. The music was recorded in one take and although there are thirteen titles, the pieces segue into each other, creating a seamless 56-minute improvisation. The book indicates where the various pieces begin and end, but can also be played as one long piece. Although the theme of the music is very somber and bleak, the music covers the broad range of emotions we all felt during that period - anger, sadness, hope, determination, resolve, fear, grief, etc. 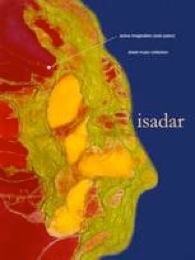 Although the recording is an improvisation, Isadar incorporates a recurring theme that holds the work together as a single entity. Some pieces are very slow while others are lively and even fast. All thirteen pieces are in C minor/Eb major, but the variety of moods and tempos keep the music evolving without becoming repetitious. When the recurring theme pops up, it’s like seeing an old friend! The difficulty in playing someone’s improvisation is that the creation of the music was spontaneous and free-flowing. It isn’t easy to read an improvisation and give the music that quality of freedom. Less advanced pianists might find this frustrating. The time signatures change frequently, but a competent pianist will have no trouble with that. 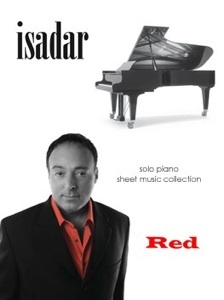 As I was playing this book, I sensed that I was looking directly into Isadar’s heart and feeling what he was feeling as the music was being born - a very powerful experience! 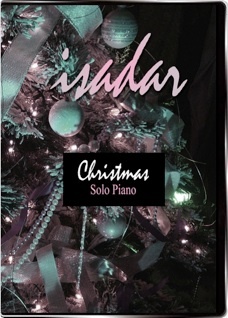 The Purple Heart is available from isadar.com and Amazon.com.